The third biggest city in Serbia with 260237 inhabitants is called Niš. The city is about 250 km to the south-east of Belgrade and 160 km west of Sofia. The river Nišava runs through the city. Romans lived in the city around 75 B.C. and built the most important castle in the Roman Balkans (Naissus). The Via Militaria, a route to Constantinople of utmost strategical importance, ran through the city. Constantine the Great was born here in 280. 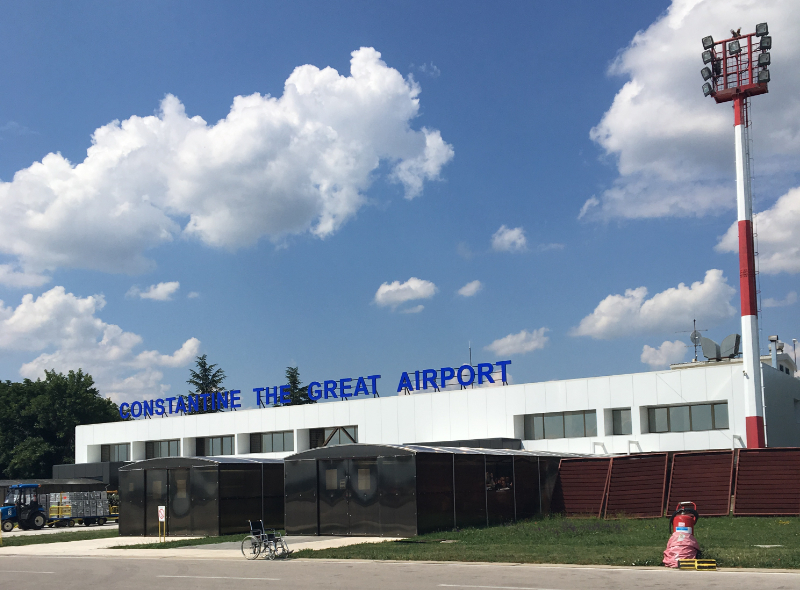 To this day the locals are very proud of this famous inhabitant of the city and named the airport after him. The city was renamed to Niš after the Slavs occupied the city in 580. 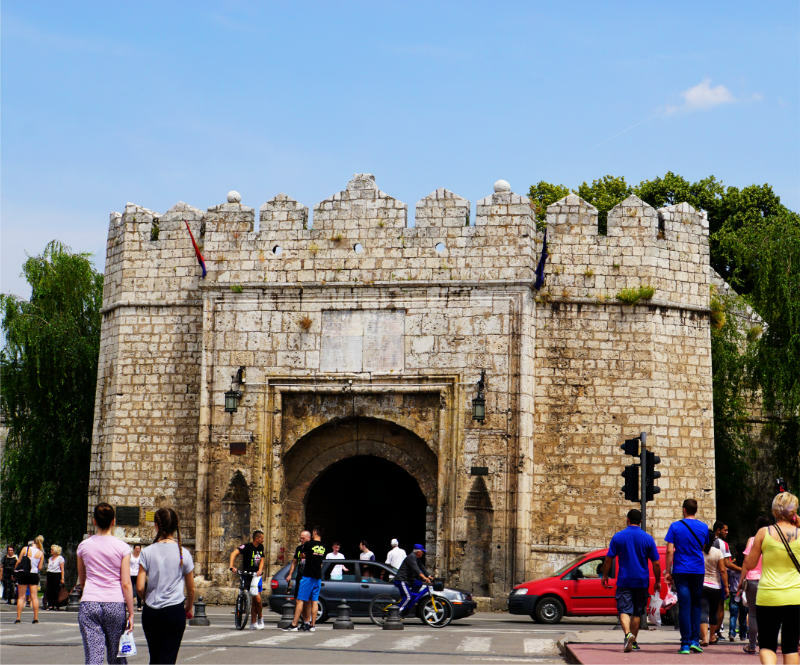 Throughout the early history of the city, power shifted between the Bulgars and the Serbs. The Ottomans ruled the city between 1459 and 1878. Niš was one of the most important cities in the so-called European Turkey during this time. A Pasha had his seat in the city and built the fortress that still stands today. The principality of Serbia conquered Niš in 1878. The Bulgarian and Albanian parts of the population were expelled. The Bulgars successfully took the city during the Serbian-Bulgarian War, World War I and World War II. There are not many tourist attractions in Niš. Never the less, it is worthwhile to fly over and explore the city and the surrounding areas over a weekend. Distances between the destinations can be travelled by taxi. Compared to Germany rides are relatively cheap and the taxis are far more convenient than the buses. The fortress was built in 172 by the Ottomans. They erected it over top the ruins of an old Roman military base. 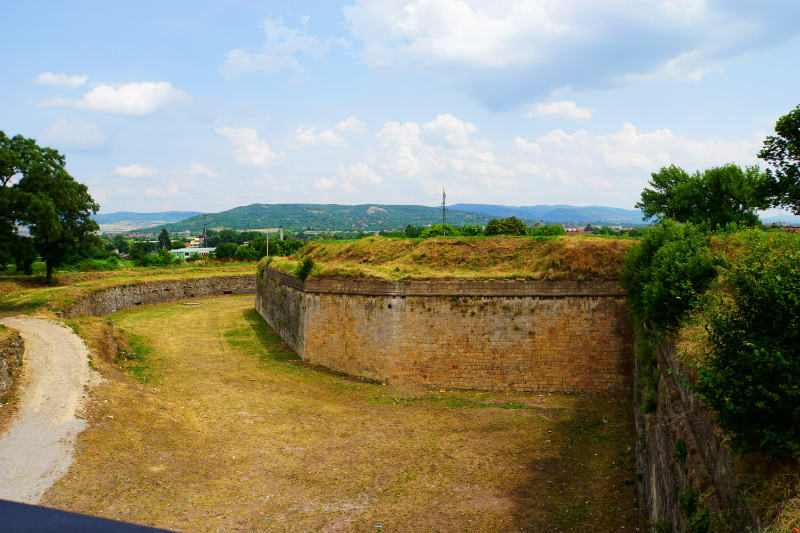 The fortress covers over 22 hectares and is one of the main landmarks in Niš. We entered the fortress through the impressive main gate. One side of the massive fortress wall is lined with cafés. A circular route leads us past the few very well preserved remains of the complex. We discover a powder magazine in a corner. 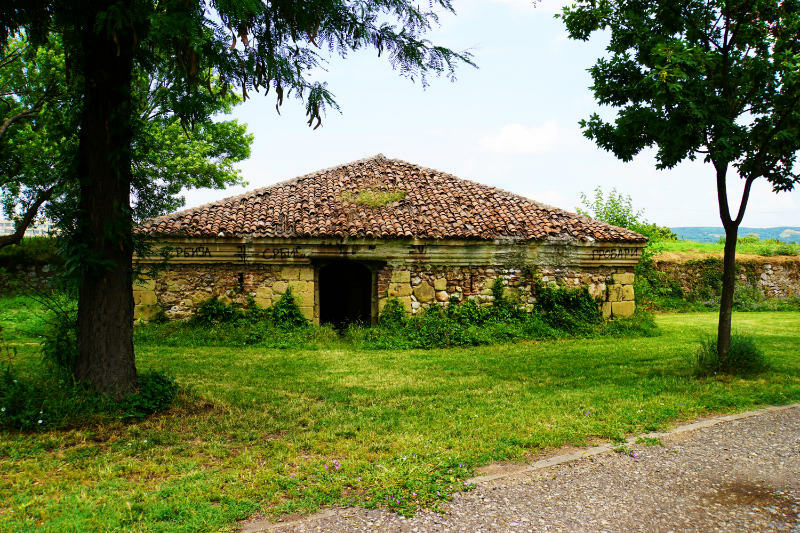 This almost bunker-like building was erected in 1720 and was used to store gunpowder and ammunition. I was fascinated by the inner and outer walls of the building. The construction has an inner core where the material was stored. The outer wall has only very small openings to deflect the shock wave of a possible explosion. 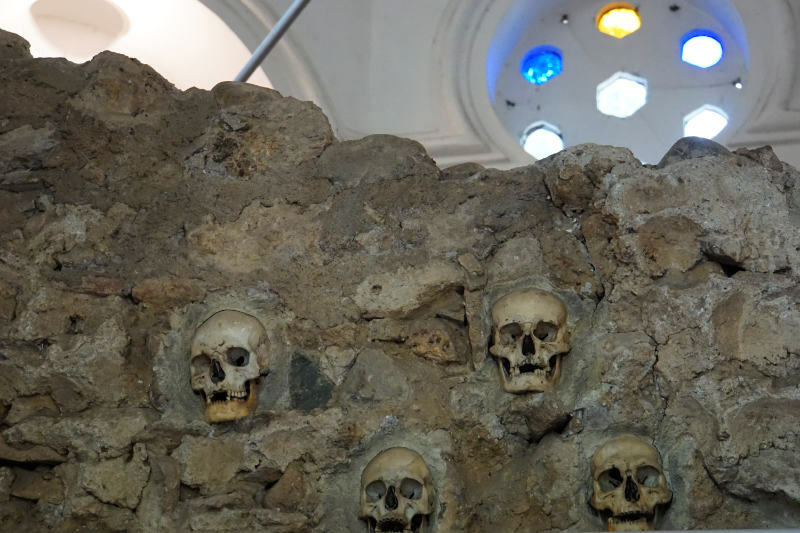 To the East of the city centre is where you find the Skull Tower of Niš. 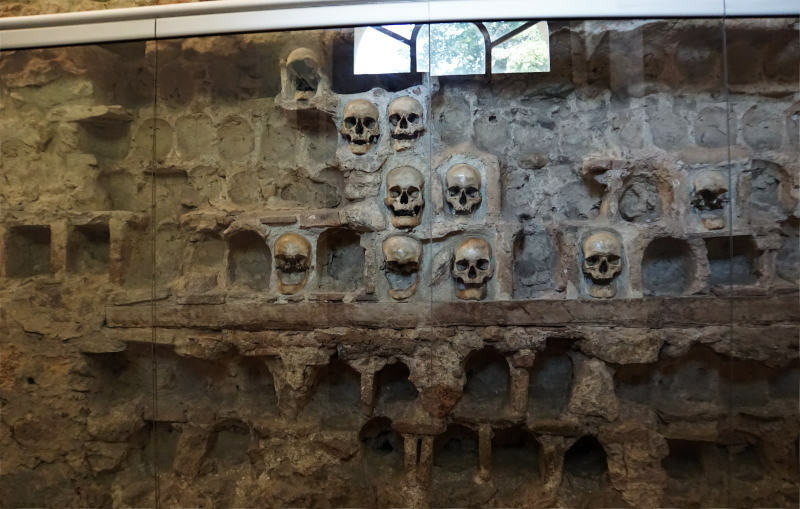 The Ottomans built the tower out of 952 Serbian skulls and bones. The owners of the skulls were killed during the first Serbian Uprising in Mai 1809. Hurşid Ahmed Pasha had the tower build from sand, skulls and lime. The skulls were taken from the bodies of rebels. The bodies were separated from the heads, stuffed with cotton and brought to Constantinople. 14 rows with 17 immured skulls were placed on each side of the tower. Unfortunately, today many of the gaps in the wall are empty. Skulls were taken out, some of them stolen, some of them for burial. The tower is only 3 metres high at this point. 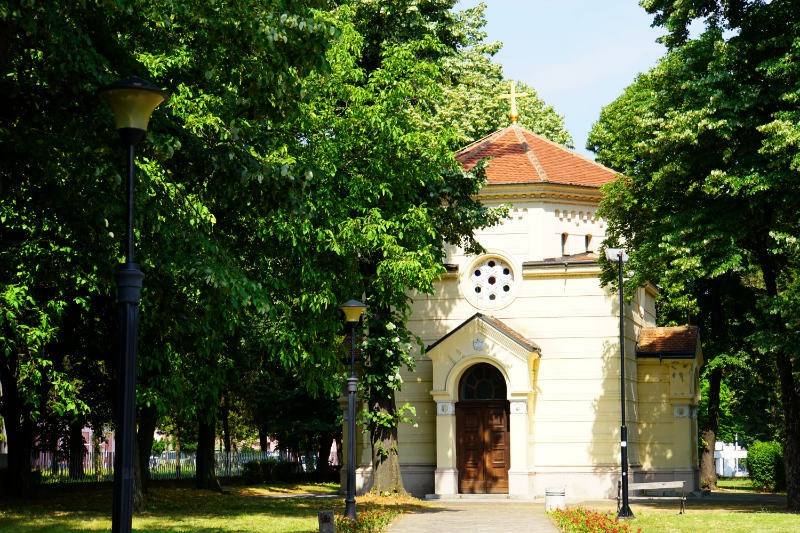 An architect from Belgrade erected a chapel to protect the tower in 1892. I have to admit that I was somewhat disappointed by the tower. I saw some pictures before and had high expectations. The history of the construction of the tower is fascinating but there is only little to see today. 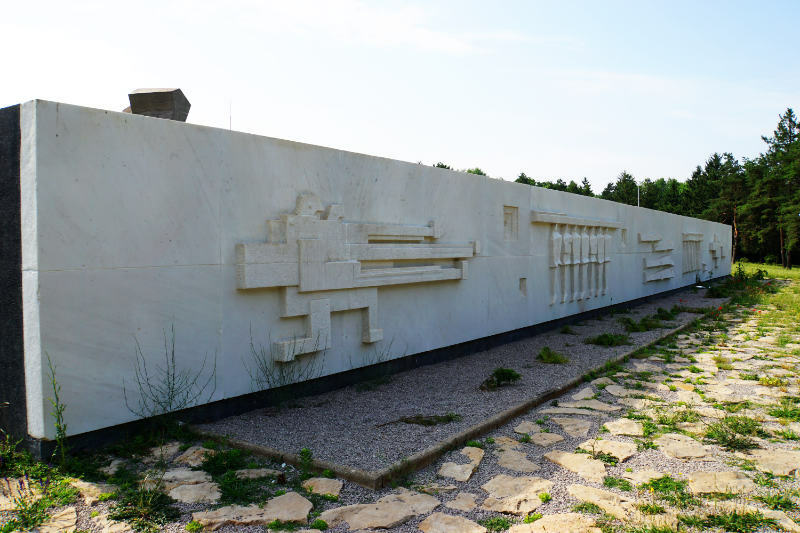 We did not visit the Concentration Camp Crveni in a north-eastern suburb of Niš. This place, where approximately 30.000 people were forced to live and 12.000 were murdered, is open to visitors. Many of those murdered were from Niš and most of them died on the Bubanj Hill where a memorial was built. For me, the most impressive visit was to Bubanj Memorial Park. We walked there from our hotel, it took us about 45 minutes. I’d recommend catching a taxi from the city centre, the walk wasn’t particularly nice. 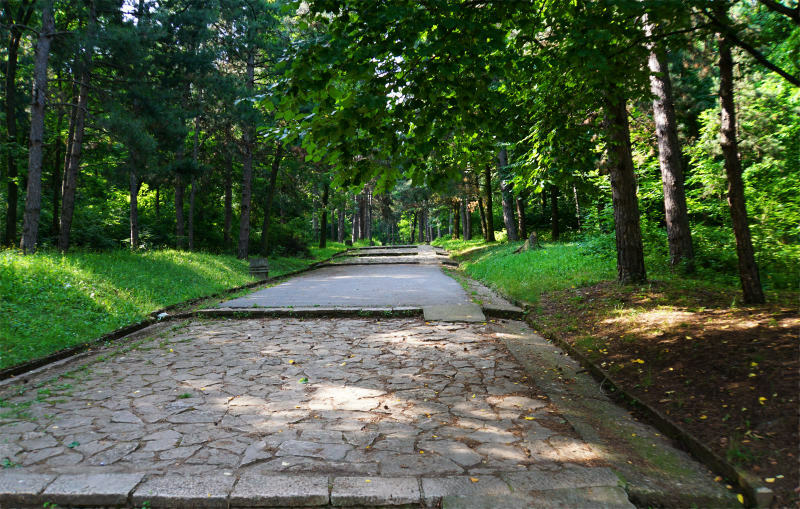 A memorial path leads away from the big car park into a little forest. There wasn't a single soul around when we visited and everything was utterly peaceful as we were surrounded by the relaxing nature. Through the trees, we saw the memorial and started to comprehend that this must be something big. 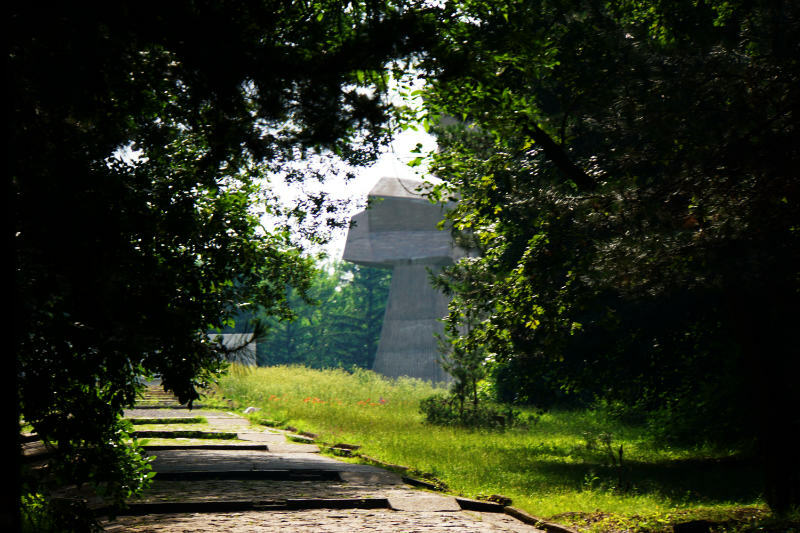 The Bubanj Memorial Park commemorates the execution of 10.000 citizens during the Second World War. The compound is part of a park. The memorial path meets a marble relief. 5 different scenes are depicted: The executions and shootings, civilian rebellion, the capitulation of the German invaders and victory over the oppressors. Behind the relief, on a lawn with wildflowers in bloom, are three massive obelisks. 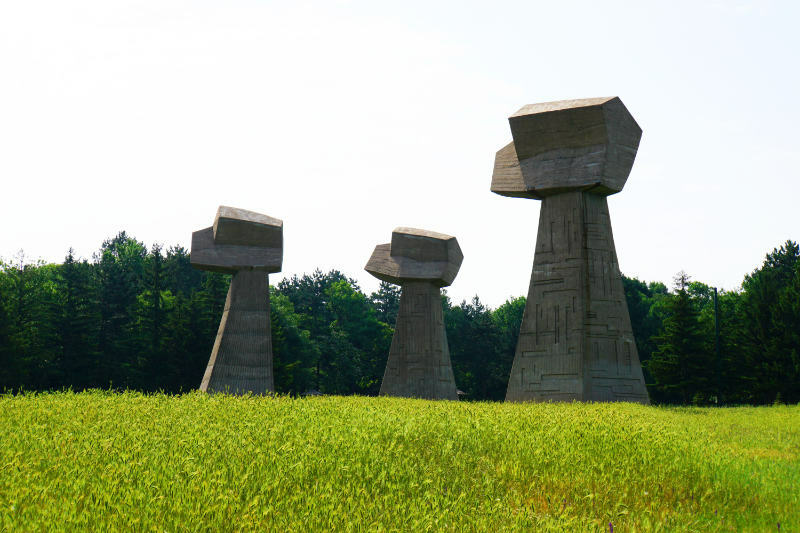 They are standing tall like a raised fist and remind the visitors of the cruel past. The obelisks resemble the hands of a man, a woman and a child to symbolize that whole families were killed here. From afar the obelisks are already very impressive. But standing next to them makes you feel incredibly small between these stone giants. We felt a little like we were on a different planet – all that was missing was a stargate opening between the giant stone fists. On a little walk through the rest of the park, we found an open-air stage, an older memorial and a chapel. On the eastern outskirts of the city are the Roman ruins of Medina. Unfortunately, the complex was closed down for the foreseeable future in 2018 (we visited in June). 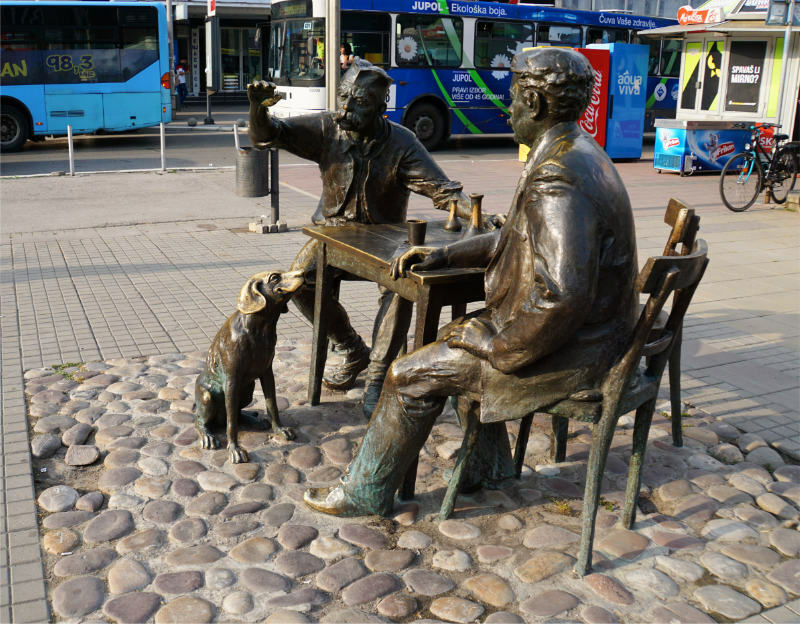 To go with our collection of interesting sculptures (have a look at Budapest and Bratislava) we found this gentleman with a dog on the side of Kopitareva Road. This memorial is dedicated to Stevan Sremac, a famous Serbian writer. He is sitting at a table with his friend Kalca, a character from the novel Ivkova slava and the dog Capa. Ivan Felker, a sculptor from Belgrade, created the piece. Here, too, it seems to bring good luck to touch the dog. His head is all shiny from the many rubs of passersby.